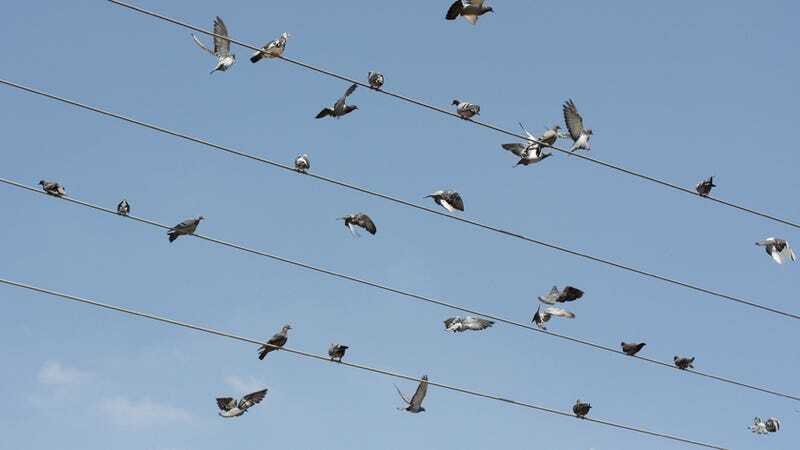 Why do birds collide with power lines? Birds often run into objects that seem obvious to humans, like poles or wind turbines. In France, it's estimated that 25 percent of young storks die from running into power lines. Why does this happen, and what's the solution? Ecologist Graham Martin, an expert in bird vision, wanted to find out. He examined the problem from a bird's perspective, rather than a human one, taking into account where birds' eyes are and how they hold their heads when they fly. Eventually it became more obvious what the problem was. Because birds have their eyes on the sides of their heads, rather than the front like humans, their frontal vision is generally less acute than ours. Add to that the fact that their frontal vision is tuned for movement rather than obstacles, and you get the problem of birds slamming straight into unmoving power lines that are directly in front of them. Also, many kinds of birds fly so fast that it's hard for them to pick up a lot of landmarks, Martin explained, especially when they're in low visibility conditions. When in flight, birds may turn their heads to look down, either with the binocular field or with the lateral part of an eye's visual field. Such behavior results in certain species being at least temporarily blind in the direction of travel . . . Armed with this understanding of bird perception we can better consider solutions to the problem of collisions. While solutions may have to be considered on a species by species basis, where collision incidents are high it may be more effective to divert or distract birds from their flight path rather than attempt to make the hazard more conspicuous. So how do we help birds avoid smashing into poles and turbines? Martin added that birds generally watch the ground or look to the side, so warnings should not be place on the obstacle, but perhaps far from it, or to the side. He suggests the use of "alerting sounds or signals."